Carlos Bissot serves as a Managing Director for 1stWEST Mergers and Acquisitions. Carlos brings an in-depth knowledge of Central America with over 25 years of corporate level senior management, entrepreneurial owner/operator experience in the technology sector. He has a solid background in technology, financial services and the government sector. Carlos has strong operational, financial and M&A transactional skills. His extensive experience includes serving as President and General Manager of one of the largest technology companies in Panama and Costa Rica for more than 17 years. 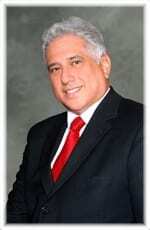 Carlos has an excellent corporate and private company leadership and ownership background that includes President of Unisistems Corporation in Panama and Costa Rica, General Manager of Tochisa de Panama, General Manger of Globaltek Panama and Sinergit, General Manager and co-owner of Truemarketing S.A. and Systems Support Manager for Burroughs Corporation. He managed the acquisitions of Burroughs and a subsidiary of Wang in Panama. He is a major shareholder in leading technology company in Panama and through his career has worked with companies that include Sungard, Unisys, Hewlett-Packard, Hypercom and Fidelity National Information Services. Carlos has served on the board of directors for several technology companies in the areas of software and hardware including most recently, Arango Software. Carlos has studied data processing at Control Data Institute in London, England and at Napier University in Edinburgh, Scotland. He is fluent in both Spanish and English.